I was sitting on the stoep of the Pot Belly Pantry, sipping on a cool Stoney, when the call came through. ‘Hey dude. Have I got a wine for you …’ It was one of those West-Coast surfer types … At the mercy of a well known South African retail conglomerate and staring financial ruin in the face, this young winemaker had bitten off more than he could chew. 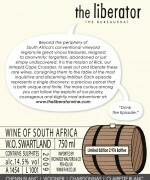 I just knew that I had to liberate this wine from the grasps of these uncompromising bureaucrats. 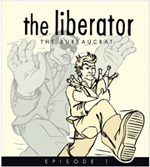 Based on old bush vine Chenin Blanc, The Bureaucrat is a Mediterranean blend; for me personally, the most interesting style of new wave wines emerging from the Cape, and this guy is leading the way. The wine itself is big and well textured, enjoying the richness and aromatic profile of Viognier, whilst the backbone and acid balance is derived from the Chenin. But this is no braai-side quaffer; it demands food and contemplation. 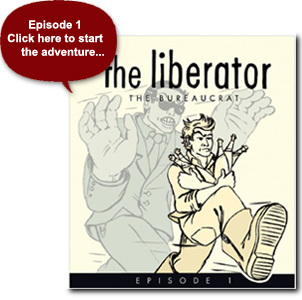 Treat it with respect and be thankful, in this instance, that The Liberator outwitted the suits. A cool Stoney Ginger Beer. The best hangover cure known to man. Braai A South African BBQ as well a cultural institution.